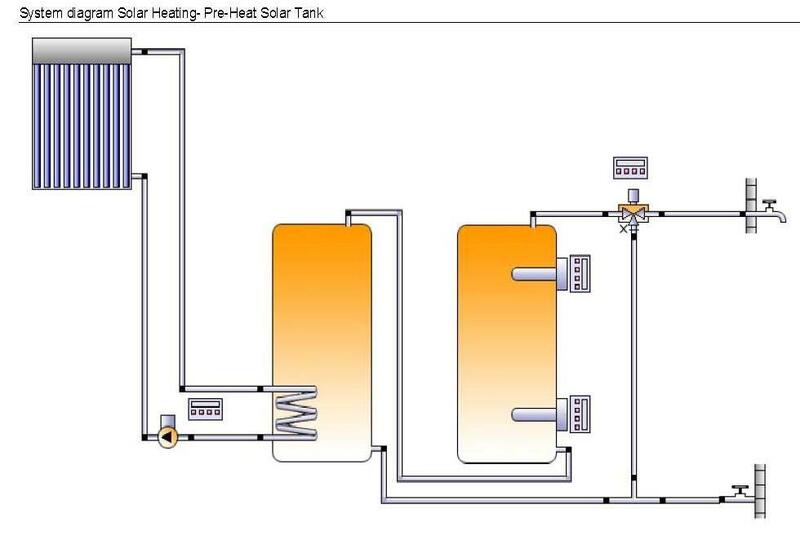 Our solar heating designs have been pre-engineered for optimal performance and safety. 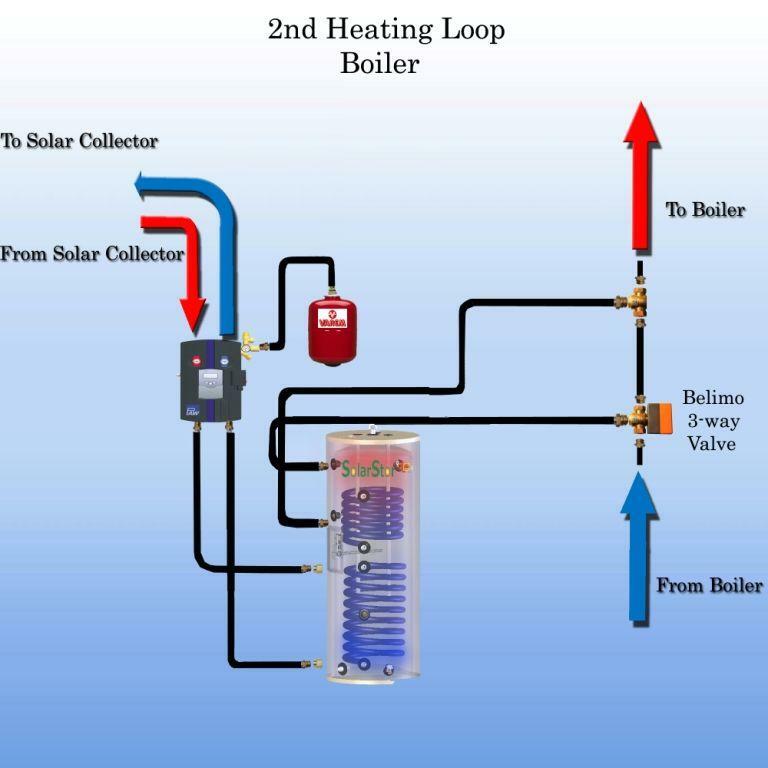 We take the guess work out of solar heating installations by including pre configured solar heating design packages that have been proven to work. It is as easy as 1-2-3. 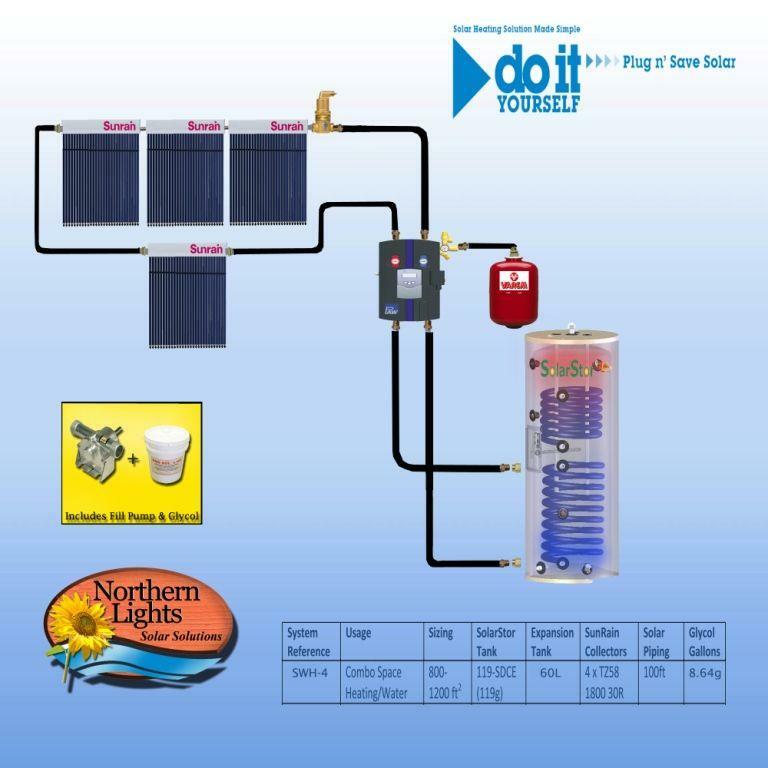 See below for layouts of solar heating designs. 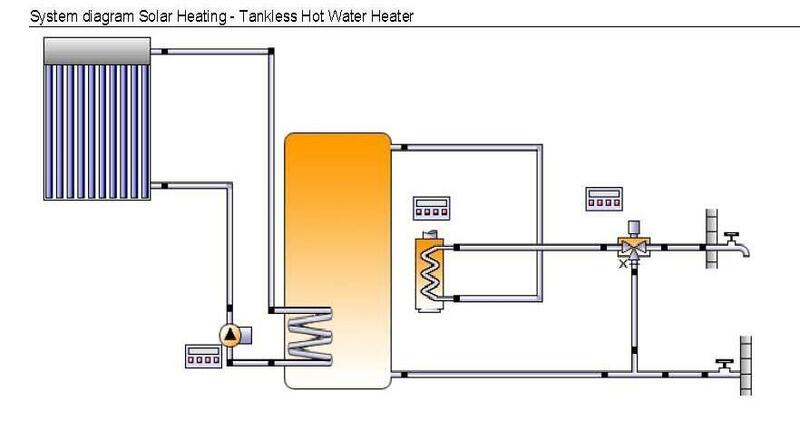 It is important when designing a solar heating system that you have the proper size. Over sizing a system can actually reduce the performance and thus cause the payback to decrease. 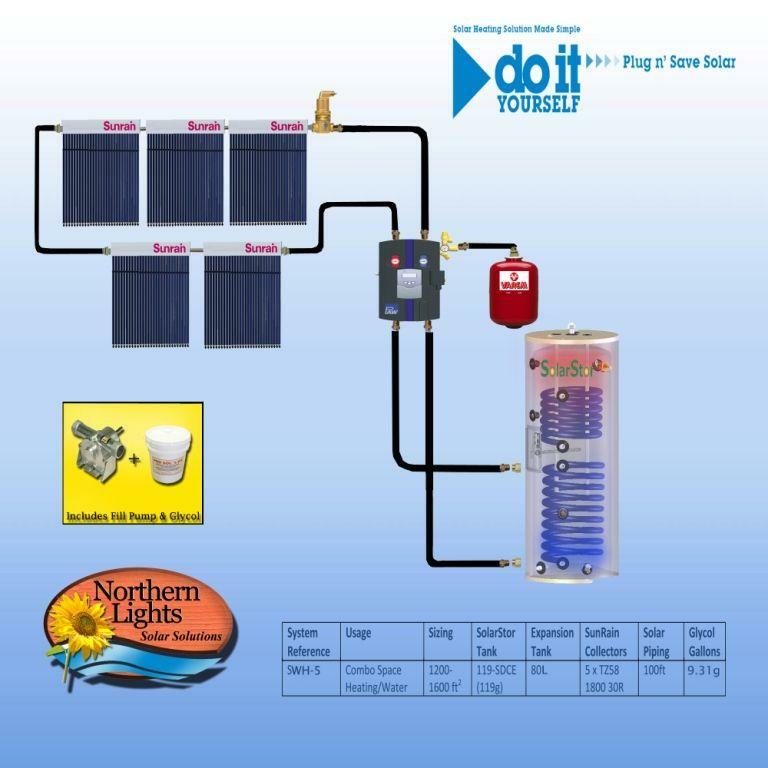 An over sized solar heating system will tend to go into stagnation and shut down more often than a proper sized solar heating system. This means that on hot sunny days the system will actually stop working and provide zero solar contribution. 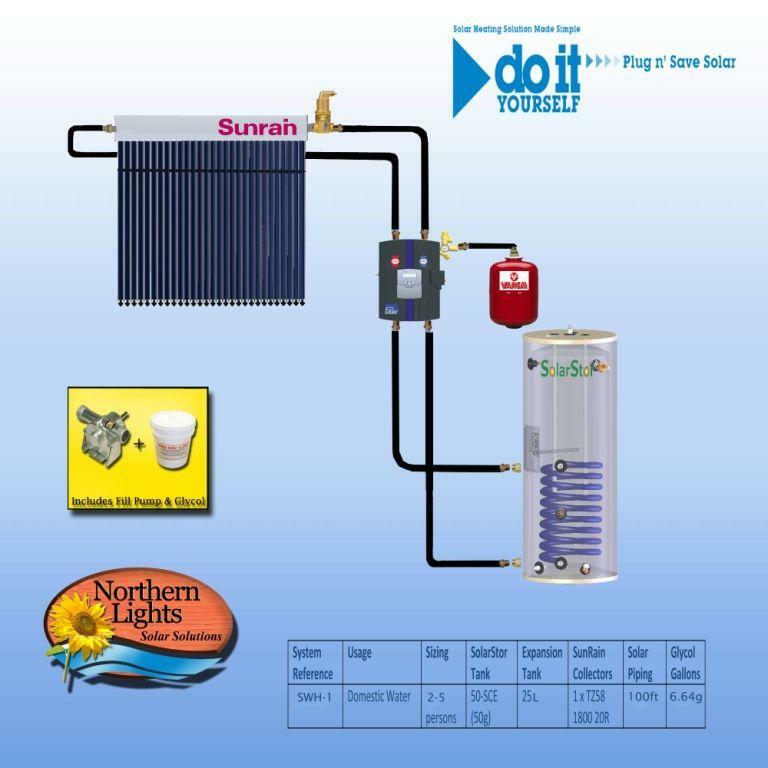 A properly designed solar heating system should attempt to provide 50-65% overall solar contribution. However this number can be increased if a 2nd heating load is added to the system such as a pool, hot tub or home heating. 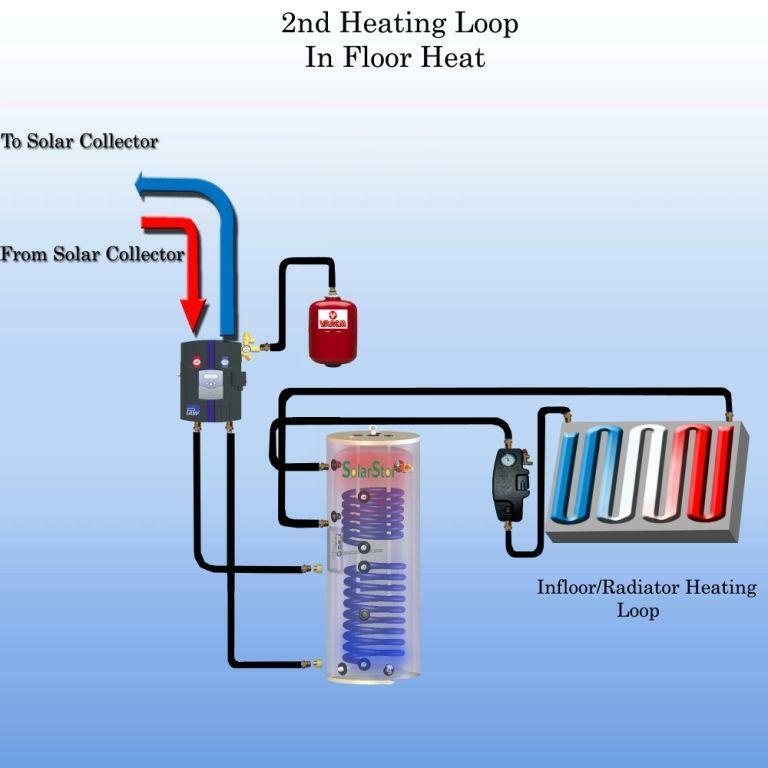 When the primary system reaches is max capacity, the solar controller will then default to the second heating zone and dump the solar heat energy to that zone thereby eliminating the chance that the system will over heat and go into stagnation. 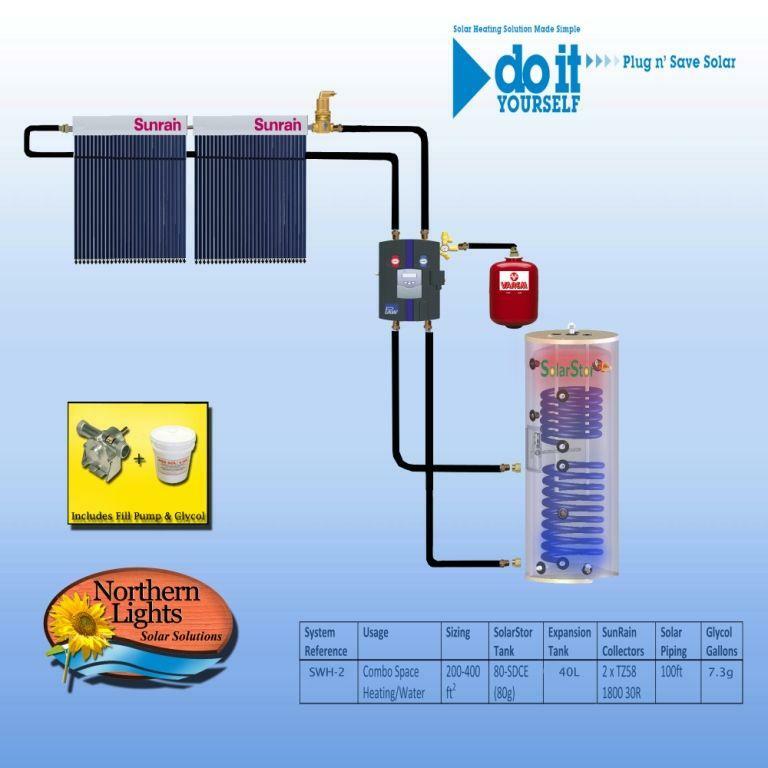 Proper location, quality equipment, and proper sizing are all important factors to consider when designing a solar heating system. Determine the optimal location of your solar System based on southern exposure. This can be the ground, roof or wall, and usually this space will dictate the max number of collectors (each collector requires approx,8' 4" of,width spacing and 6' 6" of vertical spacing). 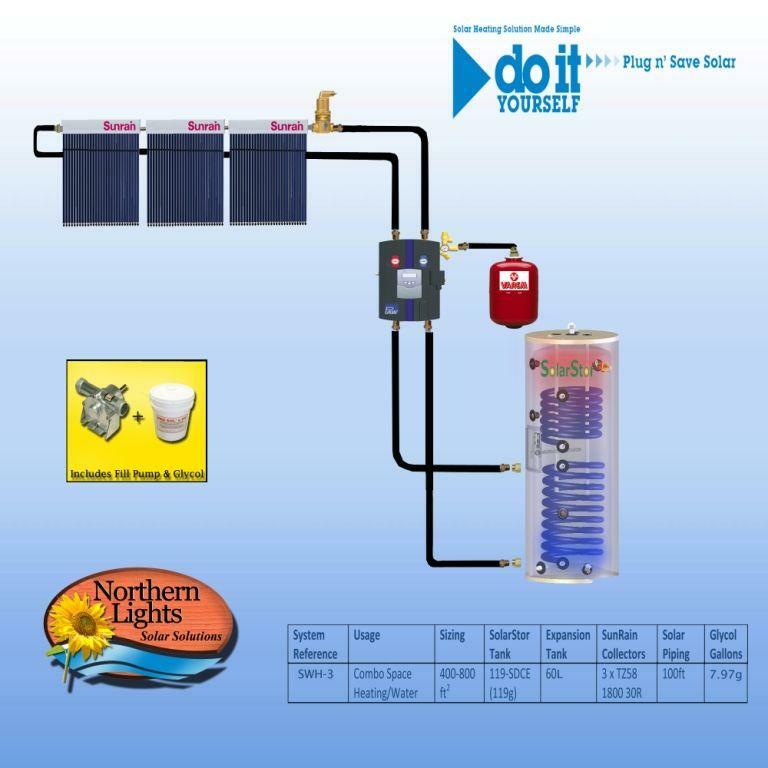 Determine the optimal mounting angle based on this chart.,Adjustable solar brackets are available. 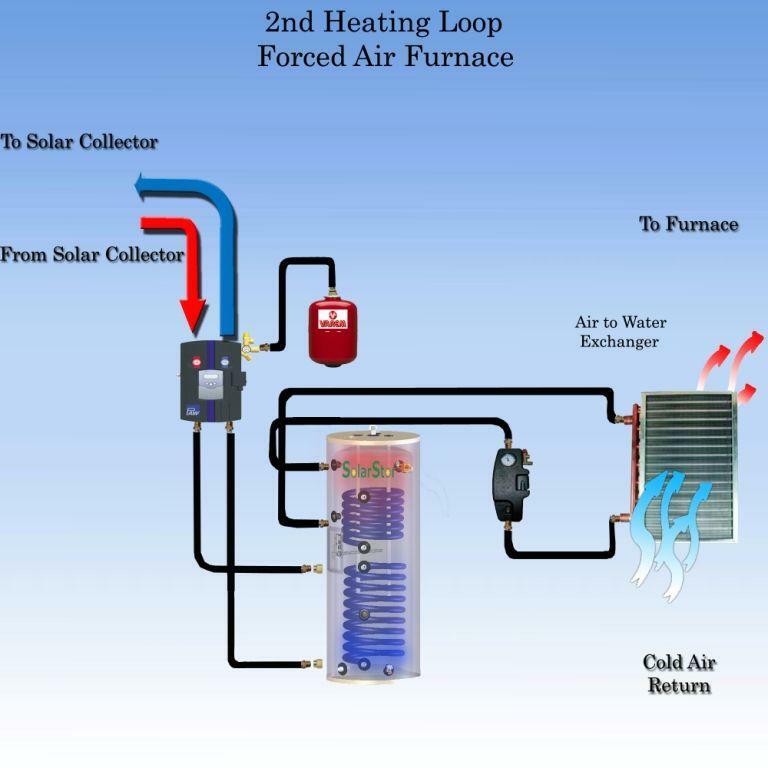 Choose a pre-configured solar heating systems (SWH) based on the number of collectors for the application.,Use this chart to determine approx number of collectors.,Note this only a rule of thumb, households with teenage kids will use more water than a house with just adults. 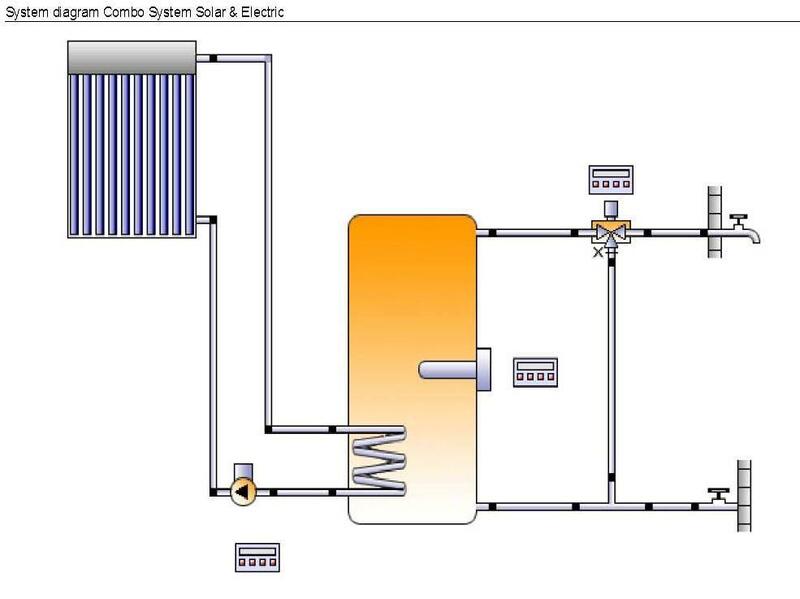 Decide what solar heating design you want; a combo, indirect or preheat solar layout as seen below. 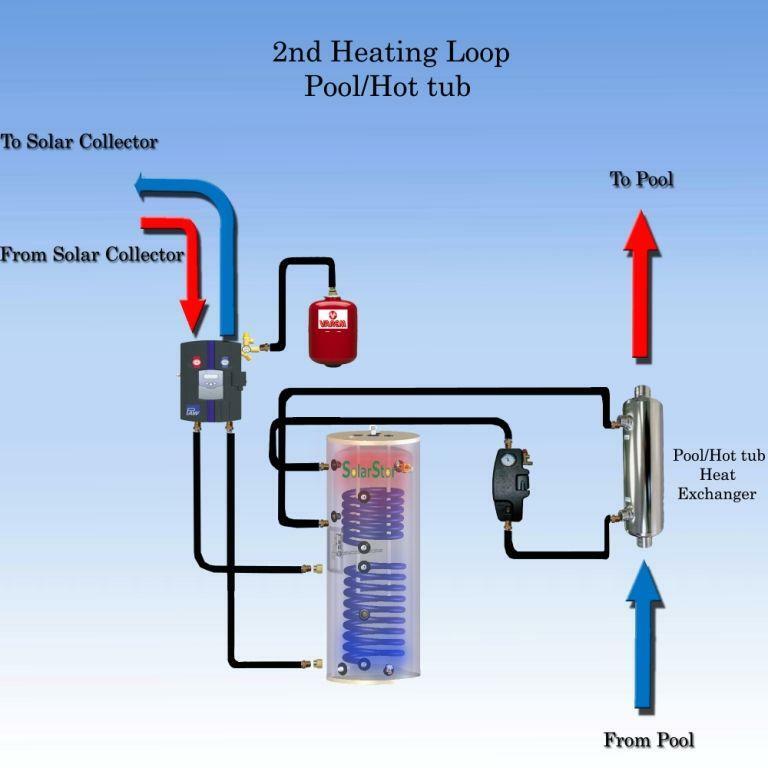 Add an optional secondary solar heating loop such as pool heat, solar home heating or hot tub.,You should also up size the solar water heater to accommodate for the extra demand.,As an example a 1200 square foot home with radiant floor heating and 4 persons should require a SWH-4 = SWH-1 + 3 (400/1200).,They will then need to select SWH-4 with infloor heating option.